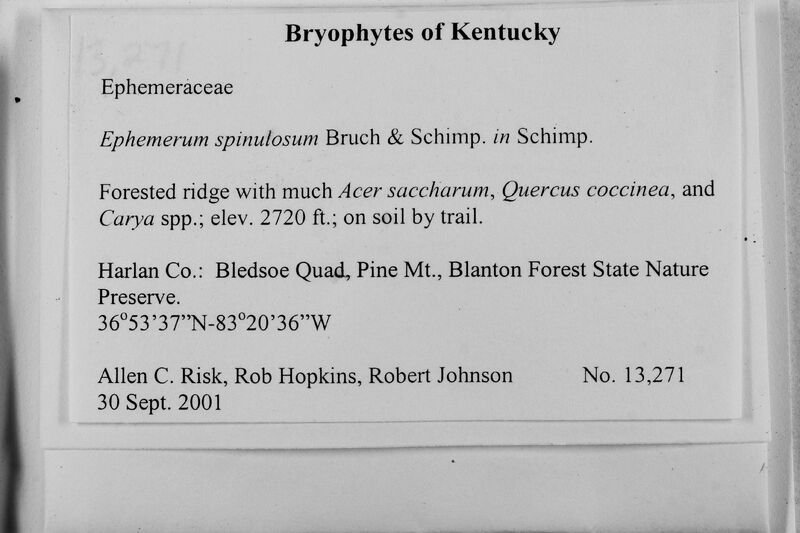 Taxon: Ephemerum spinulosum Bruch & Schimp. Habitat: Forested ridge, with much Acer saccharum, Quercus coccinea, and Carya spp. Substrate: on soil by trail.